– US team captain Queen Harrison speaking after Team USA got a dominant win at the inaugural Athletics World Cup. High School Coaches your top 7 this coming fall how would this group do in your state? 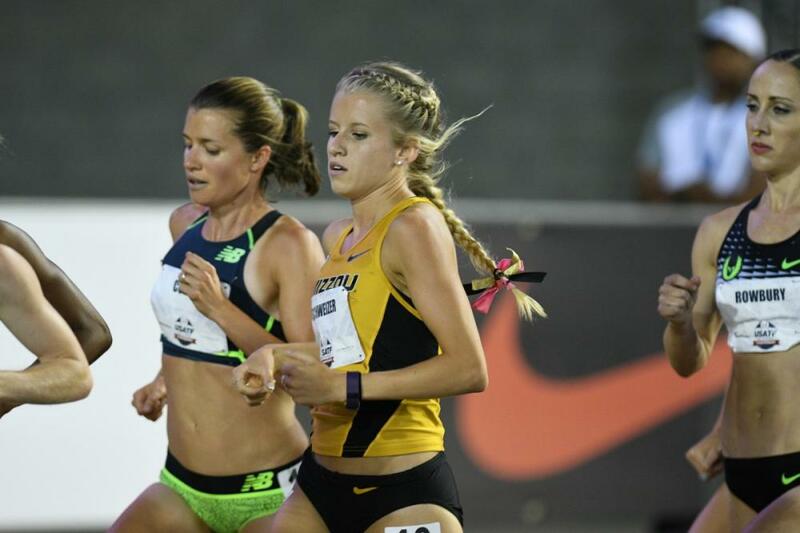 Karissa Schweizer runs 4 second 1500 pb in Belgium - 4:06.77!! Why does everyone assume doping? 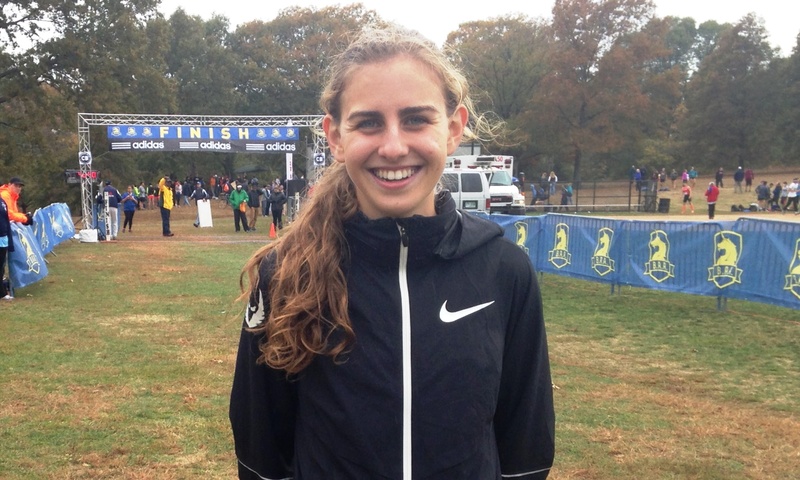 LRC Mary Cain Winds Up A DNF In Her First Track Race In 2 Years Mary Cain‘s return to the track after a 2-year hiatus did not go well. Kiwi Camille Buscomb got the win in 8:45 as Elinor Purrier also set a PR for second. 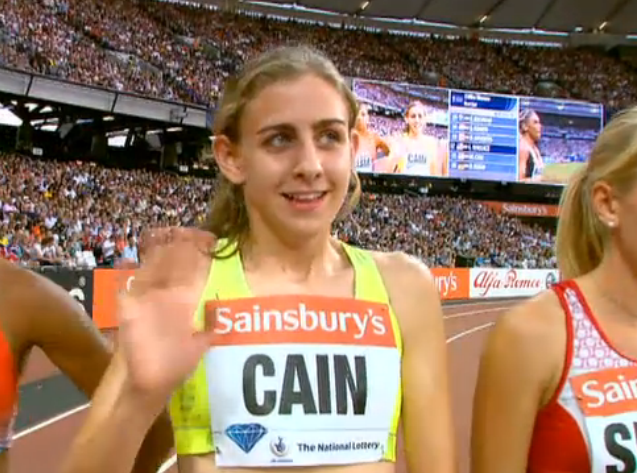 How fast will Mary Cain run? 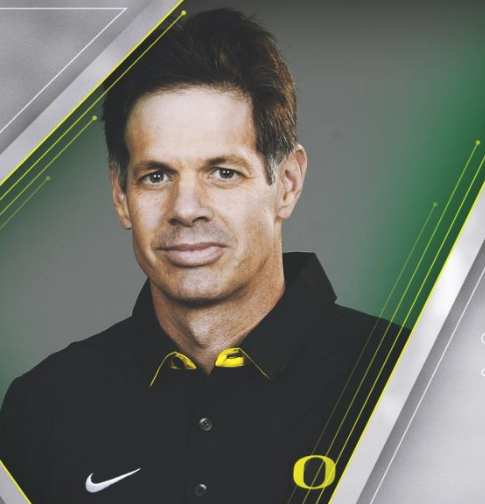 More Monday News: LRC The University Of Oregon Names Ben Thomas – Formerly Of Virginia Tech – As Its New Distance Coach Additionally, Pete Watson (formerly of UVA) will be moving to coach the men’s distance runners at Texas. Sunday: DyeStat: Tia Jones Takes Home USA’s Only Individual Gold In Thrilling 100H Final It was the narrowest margin of victory in meet history as she and Jamaica’s Britany Anderson had the same time to the thousandths place (13.012) so the tie breaker came to the 10-thousandths place. IAAF: Italy Gets Surprise Men’s 4 X 400 Gold As Dropped Baton Costs Team USA The Race There was also a huge upset in the men’s steeplechase as Kenya lost its first race since 1988 with Ethiopia’s Takele Nigate getting the win in 8:25.35. Ethiopia also took the women’s 1,500 as Alemaz Samuel ran 4:09.67 and deemed it a “very easy” and “slow” race. Kenya’s Solomon Lekuta won the 800 in 1:46.45. MileSplit Event-By-Event Sunday Highlights Team USA took their 9th-straight women’s 4 x 400 gold (they’ve won every edition since 2002). USATF: Team USA Finishes Atop The Medal Table At IAAF World U20 Champs The US had 18 medals and dominated the points standings with 155, 43 ahead of runners-up Kenya. But Kenya and Jamaica won more golds. 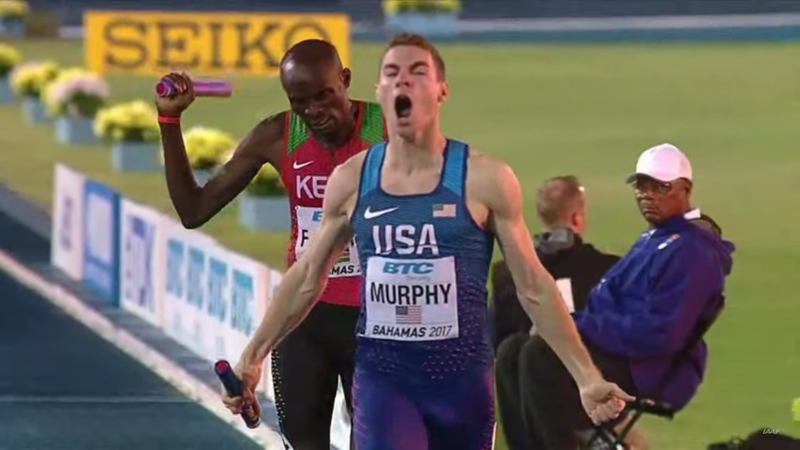 Clayton Murphy Beats World Indoor Champ Adam Kszczot In 800; Murphy Ran 1:46.52. 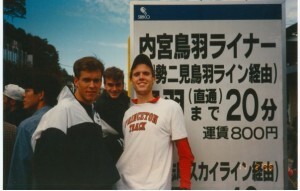 The 800 is the 2nd-farthest event in the field event-rich competition (1,500 is the farthest). IAAF: Poland’s Anita Wlodarczyk Throws Hammer World Lead (78.74m) While USA Tops Overnight Standings USA got a surprise win from Ashley Henderson in the women’s 100 as she ran 11.07 to beat double Olympic champ Elaine Thompson. Jamaica got sprint wins from Janieve Russell (400H in 55.10) and Stephenie Ann McPherson (400m in 50.98). Team USA also got a close win over Jamaica in the women’s 4 x 400 and men’s 4 x 100. 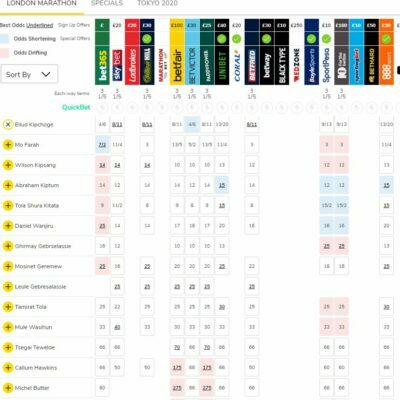 The Telegraph: Athletics World Cup Proves Mild Hit As “Fun” Event Attracts Sizeable London Crowd Despite all the star power at the Rabat DL, the number of fans that showed up there were dwarfed by the 30,000 at the World Cup. Former World 400H Champ Dai Greene Says He’s Starting From Zero After Four Year Battle Back To Fitness Greene has hardly raced over the past 4 years with just one DNF in 2017, but he’s having his best year in a while after winning British Champs. Reuters: Big-Name Absences Hang Over Inaugural World Cup Event One track writer criticized the team style event for its focus on countries rather than individual athletes. FIFA Claim All Doping Tests Before And During Russia 2018 World Cup Have Been Negative They say 3,985 samples have been taken with all players from the final 4 teams being tested an average of 4.41 times since January. Five More Russians Granted Neutral Status By The IAAF Includes a 2:13 marathoner in Artyom Alekseyev. Not A Good Idea: Apparently People Are Using Activity Trackers (Like The Apple Watch) To Monitor Their Heart Rate While Taking Illegal Drugs One Reddit user says his heart rate got up to 240 after snorting meth and drinking Mountain Dew. Vladimir Putin Claims FIFA World Cup Has Helped End Myths About Russia We’re not sure what he meant by “myths” but we’re assuming he didn’t mean institutionalized doping since that’s a fact. Inspiring Record Attempt Or Too Good To Be True? Guest Column LRC Co-Founder Of Trans American Foot Race Has Doubts About Current Trans-Canada Record Attempt Jesse Dale Riley, who served on the crew for Al Howie when he set the Trans-Canada record in 1991, has some doubts about Dave Proctor‘s record attempt which is ongoing. Researchers: Study Used For New Hyperandrogenism Rules Had Flawed Data In It The IAAF has issued an update to its study as it admits the original study had 220 errors in it. However, the NY Times headline of “Did Flawed Data Lead Track Astray on Testosterone in Women?” is misleading as the researchers who found the flawed data believe if it had been accurate it might have been more convincing against Caster Semenya. Newton Running Co-Founder Danny Abshire Launches New Lightweight Shoe Brand With Colorado Flag Logo He’s starting with very small batches – like 500 pairs per batch. 7-Time New Zealand National Champ & Olympian Angie Petty Shares Her Key Workouts The 1:59 runner shares her favorites. Dominant USA Wins Athletics World Cup With Victories In 6 Of The 17 Events They won easily with a 57-point margin over Poland. Team USA’s victory came in part thanks to some dominant running over 1 lap as they took the men’s 400m, 400H and 4 x 400. Paul Dedewo won the 400 (44.48) two days after running in Rabat. MB: Raevyn Rogers Wins 800 Gold In 2:00.20 Rogers won by almost a full second as GB’s Adelle Tracey (2:01.05) was 2nd. BBC: Great Britain Third In Inaugural Staging Of Athletics World Cup GB got just one win on day 2 in the women’s 4×100 relay as they held off Jamaica. In his comeback from injury, former world champ Dai Greene was 3rd in the 400H, won by US’s Kenny Selmon (48.97). Reuters: Seb Coe Says Athletics World Cup Is Here To Stay Coe says they’ve already had interest from other cities to host future editions of the event. 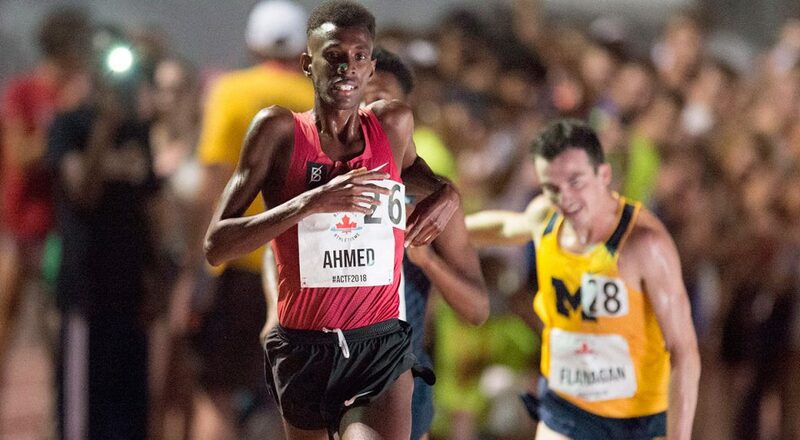 12:55 Man And Pre Classic And Stockholm Winner Selemon Barega Fails To Medal In 5,000 At World Juniors! 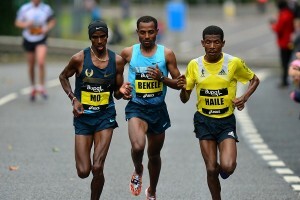 The terrible meet for the Ethiopian men continued as their 2nd heavy favorite failed to medal. They have won one men’s medal – 10k bronze – so far. Coach Ato Boldon Praises Briana Williams’ Historic Feat Williams ran a PR of 22.50 to get the win. 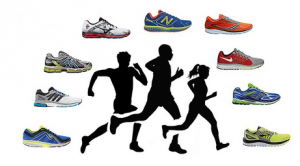 Are Some Shoe Companies Preventing People From Competing In The Athletics World Cup? No Funding And Four Jobs – How Beth Dobbin Beat The Professionals To Become British 200m Champion She’ll be running the 200 for Britain at the Athletics World Cup. 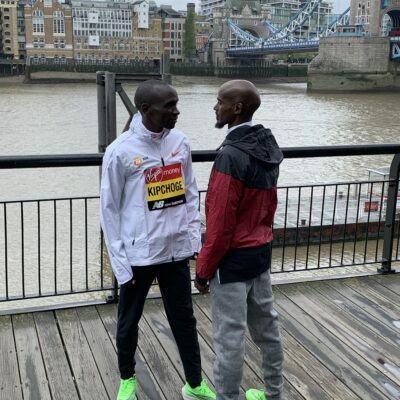 2018 London Diary: An Introduction To The Athletics World Cup The meet features 1 athlete in each event from 8 different countries – USA, GB & NI, Poland, China, Germany, France, Jamaica and South Africa. 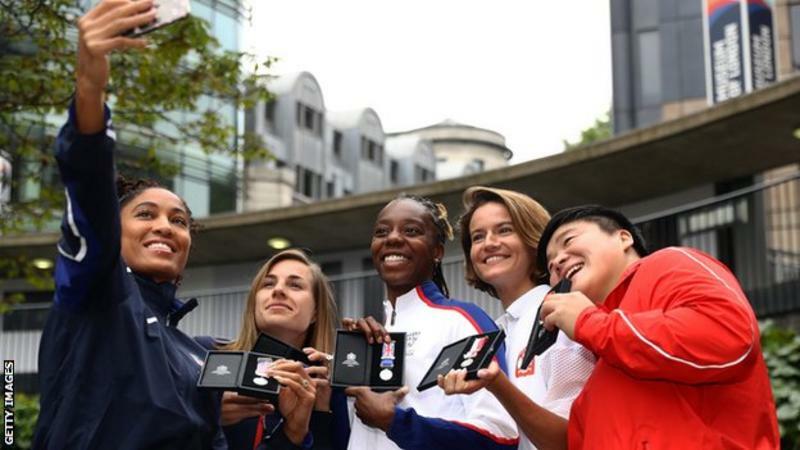 There also are female team captains to celebrate 100 years of women voting in GB. BBC: What Is The World Cup? 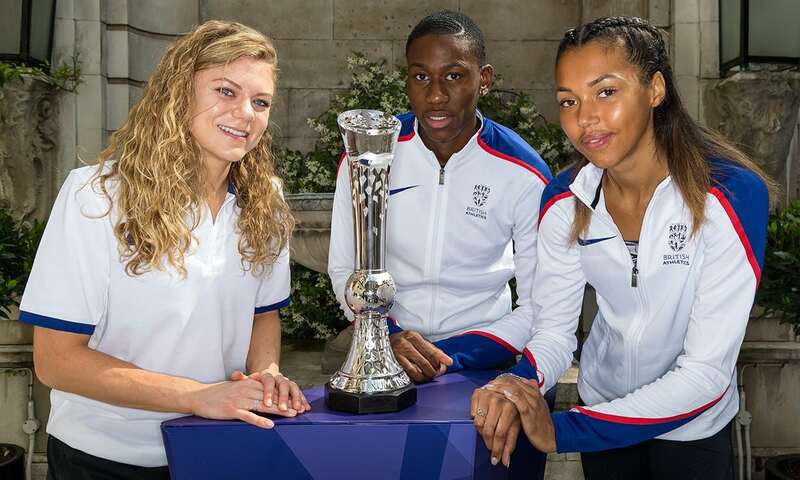 Female Team Captains Are Ready To Go For Athletics World Cup Glory Queen Harrison is the US captain, Lorraine Ugen leads GBR. Recommended Read: Lindy Remigino, The 1952 Olympic 100 Champ, Dies At Age 87 Frank Litsky pays tribute with a great obituary to the man, who wasn’t the US champ or even the best sprinter on his Manhattan College track team but won Olympic 100 gold. Remigno went on to win 31 CT state titles as a high school coach in Hartford. 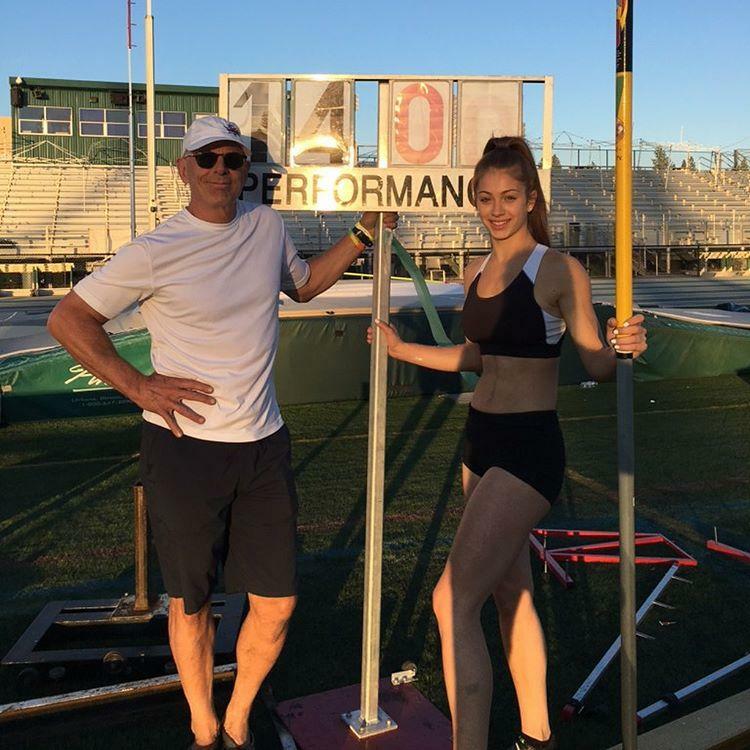 MB: Can someone tell me why the US born and raised Briana Williams competes for Jamaica? Might she switch to USA? Indonesian Sprinter Who Won Men’s U20 Gold Often Trained Barefoot Last Year As He Could Barely Afford Shoes He begged his sister for $27 for a pair last year. 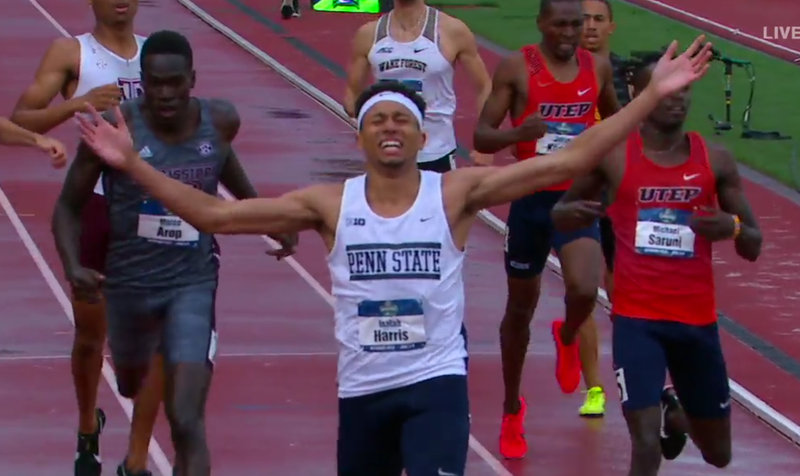 2018 Barcelona Results: American Isaiah Harris Picked Up His First Pro Win In 1:46.11 Lots of Americans were in the 1,500 as Prakel/Gregorek/Engels ran 3:37 and Drew Hunter 3:38. In the women’s 1,500, Ciara Mageean won in 4:04.13 with Marta Freitas second in a 4:04.54 PR with Americans Sara Vaughn 4th (4:05.88 SB) and Cory McGee 5th (4:06.28 PR). 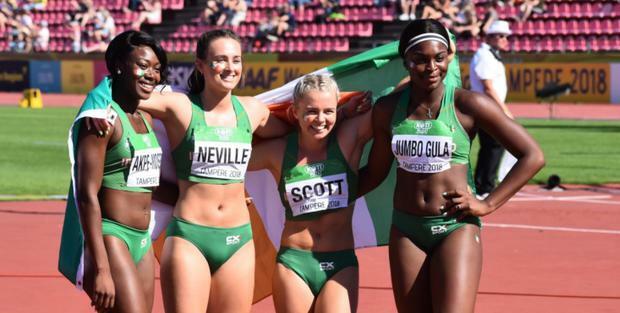 2018 Lignano Results: Elinor Purrier PRs Again (4:07.79) As Neil Gourley Runs Massive 3+ Second PR Of 3:36.54 The other big news was Emmanuel Korir remained undefeated on the year thanks to his 44.52 meet record in the 400. 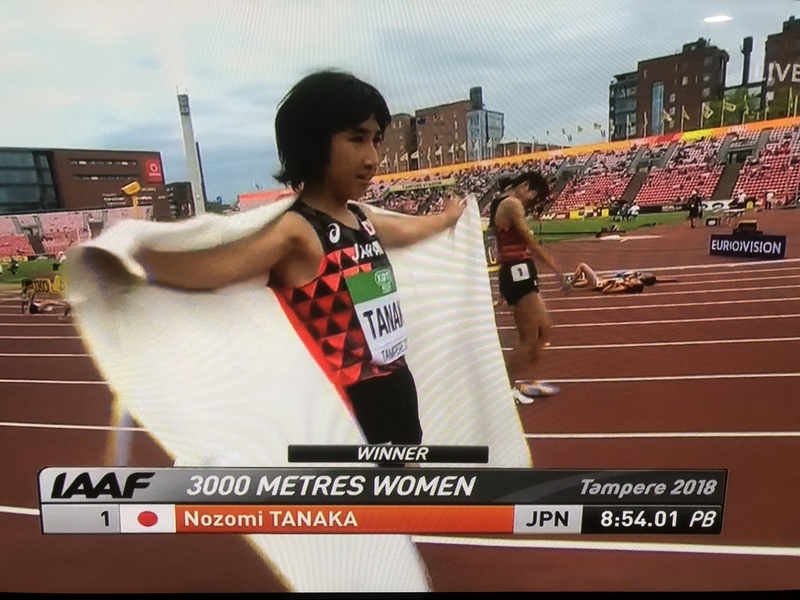 World Half Bronze Medalist Pauline Kamulu Laps Entire Filed, Runs 30:41.85 World Lead In Japan The South Korean women’s record also fell in the race as Seul Ki Ahn ran 32:33.61. Interesting Read To Say The Least: Tianna Bartoletta Goes On An Epic Rant On Her Blog About Feeling Underappreciated And Undercompensated Along the way, she wonders if the huge money people like Sydney M will be getting will result in them having short careers. We don’t think so. CU’s Erin Clark, Utah’s Grayson Murphy And UNM’s Alice Wright Join HOKA ONE ONE NAZ Elite Colorado’s Erin Clark, Utah’s Grayson Murphy and New Mexico’s Alice Wright are all headed to Flagstaff. Updated Hayward Field Design IS Released (Pics) The North end is now at the street level to prevent the wind from swirling. Plus the tower has been moved. First-Ever TCS New York City Marathon – Virtual 26.2M And 5K Launches As Part Of New York Road Runners Virtual Racing Series For $100, you get the right to run a fake NYC Marathon (and get entry into the 2019 race). 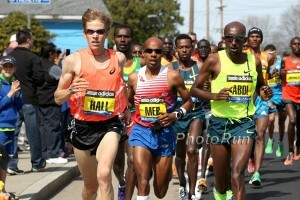 Outside Magazine Asks An Interesting Question: Is It Fair For Runners To Compete In Prototypes? A recent IAAF rule change states “any type of show used [in competition] must be reasonably available to all in the spirit of the universality of athletics.” However, it doesn’t seem that they have any plans to ban the use of prototypes in races – something that athletes like Eliud Kipchoge and Galen Rupp have done recently with the Nike 4%. LRC Christian Coleman Is BACK, Defeats Noah Lyles, Ronnie Baker And Mike Rodgers As 100 Showdown Delivers .01 separated the top 3. Is it just me or are global 1500s boring now? Full Friday Recap: GBR Wins 3 Golds, Jamaica’s Christopher Taylor Shocked In 400 Final The much-hyped Taylor (10.11, 20.35, 44.88) didn’t win the 400 as Belgium’s Jonathan Sacoor ran him down to win in 45.03. Kenya’s Celliphine Chepteek Chespol Dominated U20 Steeple As Expected She won in 9:12 and it took 9:23 to win a medal. The Story Behind Lalu Muhammad Zohri’s Historic 100m Gold Keeps Getting More And More Inspiring If having to train barefoot because he couldn’t afford shoes wasn’t inspiring enough, how about being an orphan? Thursday: LRC George Manang’oi Wins Thrilling Men’s 1,500 At 2018 World U20 Championships As World Indoor Champ Samuel Tefera Fails To Medal (5th) This one lived up to the hype. The talent at the U20 level is so incredible the reigning World indoor gold medalist at the professional level failed to medal. *MB: The men’s 1500 final at the U20 Champs lived up to the hype!! Manangoi 1, Ingebrigtsen 2. 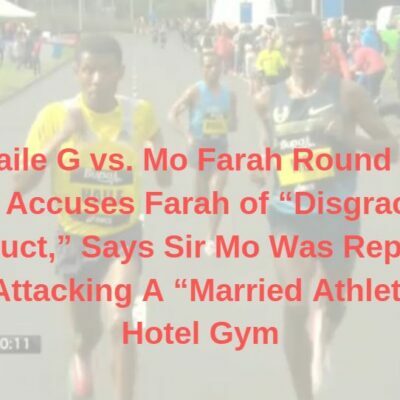 Tefera – no medal!! Ethiopia’s Diribe Welteji Wins 800 In First Sub-2:00 Performance Ever At World U20s A day after going out in a crazy 56.71, Weltelji went out more sensibly in 58.98 and ended up running 1:59.74. Jamaican Briana Williams – Ato Boldon-Coached Athlete – Pulls Off Upset To Win Women’s 100 In 11.16 USC’s Twanisha Terry ran a Championships record of 11.03 in the semis but could only manage a 11.19 in the final. MB: Reigning World Jr and NCAA 800 champ Sammy Watson + US HS 800 star Caitlin Collier (2:00.85 PR) fail to make World Jr final It was a tough day for the two American teen stars. This Wasn’t An Upset Australia’s Ashley Moloney Wins Decathlon With Championship Record Of 8,190 & Biggest Winning Margin In World U20 Championships History Gold and silver went to the Aussies. LRC 6 Reasons To Watch The IAAF World U20 Championships (AKA World Juniors) If rooting for the American 5k runner who has gone from college dropout to forklift operator to World Juniors all in the last year isn’t enough, we don’t know what is, but we’ve got 5 other great reasons to pay attention.